Heat oven to 375°F. Lightly spray 12 regular-size muffin cups with cooking spray. 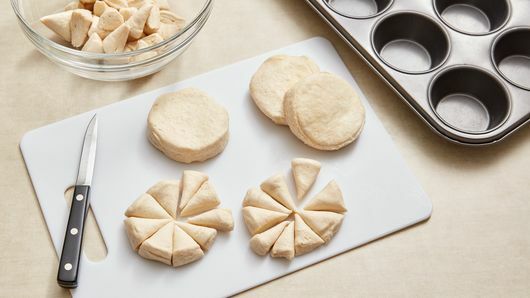 Separate dough into 8 biscuits. Cut each into 9 pieces. Place in large bowl. 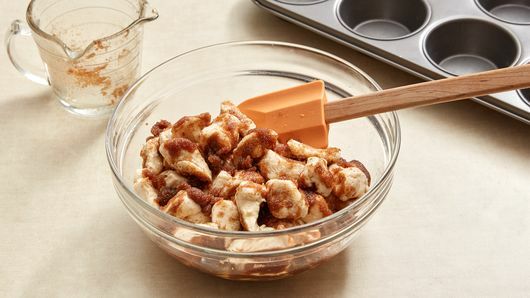 In separate medium bowl, stir melted butter, brown sugar, granulated sugar and cinnamon to combine. Microwave uncovered on High 30 to 35 seconds or until mixture is easy to pour. Pour butter mixture over biscuits. Stir until biscuit pieces are thoroughly coated with butter mixture. Place 6 pieces in each muffin cup. Bake 12 to 16 minutes or until biscuit pieces are golden brown. Cool 3 minutes in cups; transfer to cooling rack to cool 5 to 7 minutes to set. Meanwhile, in medium bowl, stir powdered sugar and 1 tablespoon milk into thick, spreadable glaze. If necessary, add milk 1/2 teaspoon at a time until glaze is desired consistency. Spoon and spread icing over top of each monkey bread. 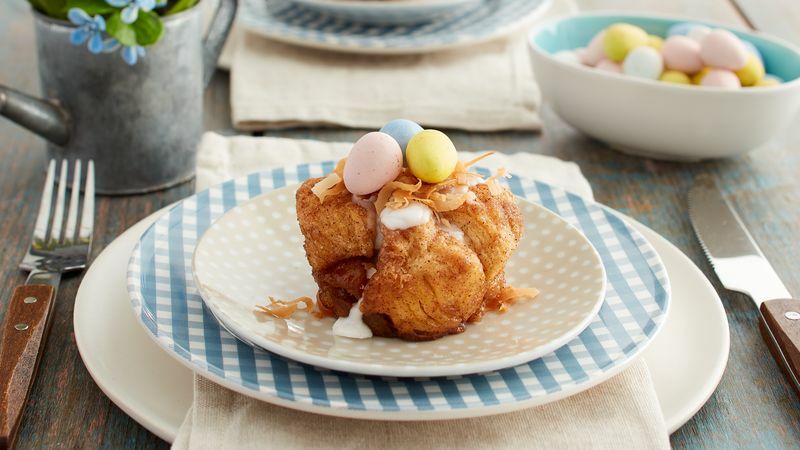 Sprinkle with toasted coconut to form nests. Top each nest with 3 chocolate eggs. 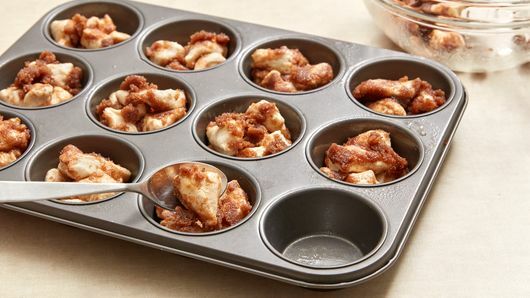 Use a fork to help remove monkey breads from muffin cups. 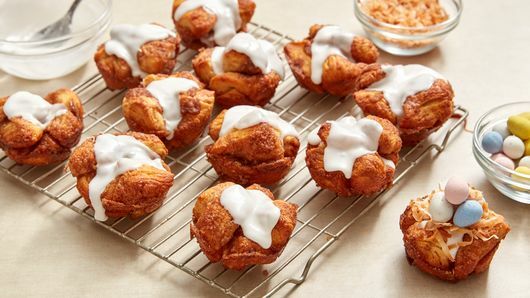 Allowing monkey breads to cool slightly before frosting helps keep the icing from drizzling too much down the sides. To toast coconut flakes, spread coconut flakes in even layer on small rimmed baking sheet. Bake in 375°F oven 6 to 7 minutes or until golden brown.